Travelling New Zealand by car or campervan gives you the ultimate freedom to go where you want, when you want, and allows you to truly tailor your trip to your needs. 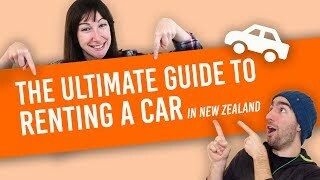 Seriously, check out the 10 Things We Love About Car Rental in New Zealand. However, you will find that prices differ widely between car and campervan rental companies due to a variety of factors that we’ll go through in this article on how to save money on car rental in New Zealand. All the little extras add up at the end of a road trip, making the difference between a huge road trip full of excitement and a cent-counting nightmare. Sometimes the cheapest option is not necessarily the best option. So scroll down this list of awesome tips so you are well-prepared to compare your options and make the best decision for you. It’s obvious: in summer, everybody wants a camper but in winter, the demand is much lower. May is traditionally the cheapest month across the board. As well as car rentals being cheaper in the shoulder season, nature is all the more lively, and the crowds are in the Northern Hemisphere. It’s literally like having the whole country to yourself! Book your car rental between March and October and you are likely to pay 30-50% less! For more reasons to travel in these seasons, see 11 Reasons to Travel in the Shoulder and Off-Season in New Zealand. This one comes as no surprise as well. Early bookings are often rewarded with early bird discount or simply a lower overall rate, while last-minute bookings suffer from the lack of stock and give you less choice for a higher price. Start your new adventure the simple way and talk directly with your car rental company. Booking directly with a rental company as opposed to through an agent or a comparison website will ensure that you get the best rates that this company has to offer. This advice is true across the board from hostels, to activities to transportation methods. Get more advice on the subject at Travel 101: Booking Direct Vs. Online Travel Agents Vs. Travel Agents. Sometimes there will be one or two days on either side of your preferred booking date that can double your bill. Make sure to play around your booking dates to find the best combo of dates that will make sense money wise. Having flexible travel dates can make a real difference to your car rental cost. On the same note, we also advise you to look for rental and flight on the same day so you are flexible on both. Some companies will charge for each extra hour that you keep the car, some will charge you for an extra day, and some will not consider the return hour in their pricing at all. This can make a big difference when picking up your car at 9am instead of 4pm or giving it back at 5pm instead of 10am. Make sure to consider this when comparing car and campervan rental companies. When landing in New Zealand, you’ll probably be jet-lagged or at least exhausted by the 20+ hours flight. Make sure to schedule your car pick-up for when you are ready to drive off, let’s say 11am the next morning. This can save you a day rental or at least a few hours with some companies (see #5 above). Selecting a small car or campervan can truly make a huge impact on your rental cost. From the obvious fact that they are cheaper to run to the long-term fact that they also use much less fuel, picking a small vehicle is just a smart choice. So sit down and evaluate what you truly need and how big do you really need your car to be. On the same note, keep an eye out for the year and make of the vehicle, fuel consumption can vary a lot. Car and campervan rental comparison websites like Compare and Choose allow you to search and compare rental vehicles by age, so check out that handy tool! Prices will vary depending on availability and some routes may even become much cheaper in some seasons. 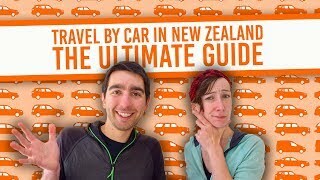 For instance, around the end of summer, most car and campervans have been dropped off on the South Island, so picking a route from south to north may save you a few hundred. From a ski pass, free cave entry, even a 15% discount for hires longer than 30 days… there are all kinds of deals out there, especially in the shoulder and off-season (between March and October). Keep an eye open for what’s going on by checking the blog/discount/deals/specials tabs of the car rental companies that you are researching. 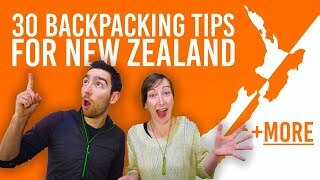 Better yet, check out the BackpackerGuide.NZ DEALS tab for exclusive car and campervan rental deals around New Zealand! Our deals link you straight to the company so you can benefit from booking direct (see point above). In many cases when hiring a car or campervan in a location and dropping it off in a different location, you will be charged a one-way fee. Look for routes that do not have a one-way fee (often south to north) or make your itinerary a loop to save a few hundred. There is always a limit, from 18 years old (the youngest age somebody can hire a car in New Zealand) to 25 years old. The youngest driver’s age can impact pricing in two major ways: first, the daily price of the vehicle rental, and second, the daily insurance cost. So be aware of that if any of the people driving the car or campervan is young-ish. For a car rental company without these limiting age restrictions, check out Snap Rentals with cars to fit the backpacker budget. Most rental companies have a standard insurance included in their daily rental rate, but will always push for you to upgrade your insurance. Some rental companies have reasonable insurance options and some even have them capped so you are not charged for the whole 60 days! Other companies have egregious insurance fees. Include insurance in your consideration when comparing prices. Consider their excess (is spending NZ$500 really worth reducing your excess from NZ$3000 to NZ$2000?) and keep your credit card policy in mind too. Many of credit card policies include a car rental cover if you book it with your credit card. One car: one driver. That’s the policy of most companies. For some, adding an extra driver simply requires you to fill in their details when booking your car. For others, it incurs an extra daily fee. Any daily fee added to a rental, as small as it is, can really weigh a lot on a budget, so keep that in mind when deciding who’s driving. It is common in New Zealand to charge from NZ$5 to NZ$10 per day for a GPS. Although a GPS is incredibly convenient, you can use Google Maps on your phone or download a detailed GPS map of New Zealand from any named brand GPS for NZ$0.99-$2.99. If you are worried about suction cups, we found some great ones on sale on Amazon for under NZ$5! Solar showers, camping chairs, snow chains… all the upgrades come at high flat rates or extra daily costs. We recommend skipping them and buying your own from local stores like K-Mart or Warehouse. They should only set you back a fraction of the cost that a car rental company would charge you. You may even be able to sell them back. As per WiFi hotspots, check out our cellphone-related article for big savings. Traditionally, picking a car up at the airport is slightly more expensive than picking it up in a suburb or city location. Although it is truer for mainstream car rental companies, this can apply on selected occasions. Double check it when booking your car or campervan by changing your pick up location from Auckland Airport to Auckland City, for instance. Like everywhere in the world, you will pick up a car full of fuel and should give it back full of fuel. Make sure to do so or face being charged with a refuelling fee plus the cost of fuel – not a great way to finish your road trip. On the same note that #17, when refuelling your car or simply when fuelling up along the way, make sure to avoid pump stations located near airports. Those are notorious for having the highest price tag, with some reports mentioning a difference of over 30%! Extra tip: Collect and use those supermarket fuel discount vouchers. Take the pre-hire car inspection seriously and write down any damage that you notice as you might end up being liable for them when returning your car. How to? Every car rental has a small scheme of the vehicle along with your paperwork where you can mark down what and where you noticed damage prior to taking the vehicle for hire. Car rental is a big business in New Zealand and the vehicle flow is extremely uneven around the country. For this reason, car rental companies need their vehicles moved around the country at a fast pace. They will often offer 3 days rental + ferry cost for those willing to take a vehicle from Christchurch to Auckland, for instance. We have a full page dedicated on Car Relocation in New Zealand so you can learn more about it. A road trip is best enjoyed with a group of friends. Should it be your childhood best friends, the love of your life, or a perfect stranger found in our travellers’ Facebook group, you are bound to create lifelong memories on the road with your travel buddies. 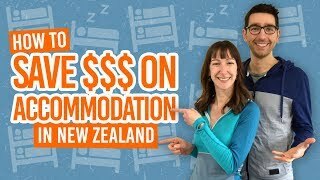 Share adventures, laughs and (hopefully good) music along the most scenic roads of New Zealand, while splitting the bills 2, 3 or even 4 ways so you can spend more on awesome adventures. Sounds like your kind of trip? Look into people movers and even vans that can carry up to 9 passengers comfortably!